Multi-award winning vocalist Jennifer Sheehan is the first performer to star in the WNET/WLIW (PBS) TV series 66th and Broadway, which airedthroughout the New York tri-state area and in other cities. Ms. Sheehan has performed for audiences from coast to coast and in the UK, including at Carnegie Hall, as the guest of Michael Feinstein, and at Jazz at Lincoln Center, Town Hall, 54 Below, Guild Hall and the Eugene O’Neill Theater Center. Her critically acclaimed shows have entertained audiences at Café Carlyle, Feinstein’s, Caramoor Center for Music and the Arts, the Savannah Music Festival, Ely Cathedral (U.K.), Sarasota Opera House and The Historic Asolo Theatre in Sarasota, The Royal Room in Palm Beach, Lynn University in Boca Raton, Southampton Arts Center, Richmond CenterStage, the Juilliard in Aiken Festival, The Gardenia in LA, Electric Earth Concerts in New Hampshire, The Shealdon Concert Hall in St. Louis and many other concert venues and private clubs around the country. Ms. Sheehan has sung as guest vocalist with the New Jersey Festival Orchestra, the Philharmonic of Southern New Jersey, the Metro Chamber Orchestra and the New Amsterdam Symphony Orchestra. Ms. Sheehan is the first-ever recipient of the Johnny Mercer Foundation’s Margaret Whiting Award and the first-ever winner of the Noël Coward Foundation Competition Award. She also has received the Dorothy Loudon Foundation’s Dorothy Loudon Award and the Mabel Mercer Foundation’s Donald F. Smith Award for her contributions to the preservation of the Great American Songbook. Previously, she received the Julie Wilson Award for outstanding interpretation of the Great American Songbook. Ms. Sheehan has performed for many seasons as one of six vocalists (andas Mrs. Claus) in Radio City Music Hall’s Christmas Spectacular. She has starred as “Betty Haynes” in White Christmas, and has appeared in shows at the 92nd Street Y, the York Theater, Bard Summerscape Festival, The MUNY, and the Boston Musical Theater, as well as on national tours. A Cabaret Scenes magazine review of her debut album, You Made Me Love You, states, “It is rare that one singer has as much going for her as Jennifer displays on this new disc.” The album has been a featured pick of The Jonathan Schwartz Show on WQXR/WNYC, and can be heard on various radio programs. Ms. Sheehan is a graduate of The Juilliard School. James Followell is a pianist, musical director and arranger living in New York City. Working with Broadway legend Jerry Herman, James provided the vocal and piano arrangements and musical direction for the musical revue Showtune, celebrating the words and music of Jerry Herman, which was produced in London's West End, the Pasadena Playhouse, and Off-Broadway's York Theater. James has performed across America and Europe in venues such as Carnegie Hall, Zankel Hall, the Savannah Music Festival, Feinstein’s 54 Below, the Prince Edward Theater and the Vaudeville Theater (London), the McCallum Theater (Palm Desert), the Berlin Film Festival, and the historic Asolo Theater in Sarasota. He has worked in those venues with such diverse Broadway and cabaret performers as Kristen Chenowith, Karen Mason, KT Sullivan, Sharon McNight, and The Incomparable Hildegarde. He worked with Jennifer Sheehan on her critically acclaimed CD, and also appeared with her on PBS in the new cabaret series 66th & Broadway, for the show's debut episode. James has performed with Ms. Sheehan here in Aiken on multiple occasions since 2012. He is very happy to return with the Stardust show and its amazing musicians. Jered Egan has performed with symphony orchestras, ballet, modern dance and opera companies from New York to Paris to Hong Kong. 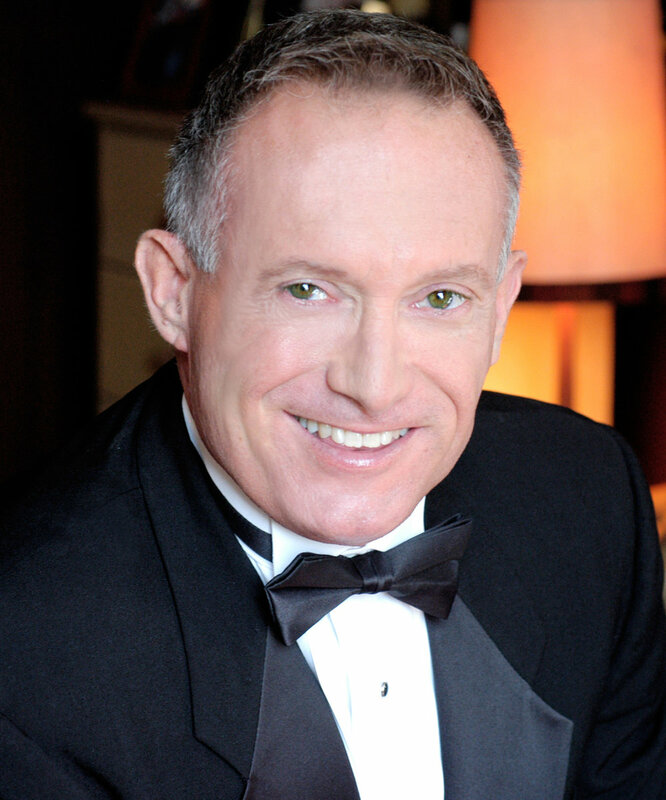 On Broadway, he has played in pits for shows from “Phantom of the Opera” to “The Producers” and onstage in “An Evening with Jerry Herman” and “Patti LuPone on Broadway.” In the cabaret field he has performed at the Oak Room, Café Carlyle, Feinstein’s, 54 Below Joe’s Pub, and Jazz at Lincoln Center, with artists such as Andrea Marcovicci, Polly Bergen, Faith Prince, Amanda McBroom and Liz Callaway. For his work in cabaret, he was honored by Backstage Magazine with their Outstanding Instrumentalist award for 2006. Jered is a graduate of The Juilliard School and received fellowships for further study at the Tanglewood, Waterloo and Spoleto festivals. He has recently moved to the beautiful state of Maine and is happy to report that you CAN get there from here. Steven Bargonetti served as the lead guitarist for The Cher Show on Broadway. He has provided music direction and arrangements for Ma Rainey’s Black Bottom by August Wilson at the Mark Taper Forum, and served as musician/Music Director/arranger for Father Comes Home From The Wars by Suzan-Lori Parks at the same venue. He is the winner of The Boston Theater Critics Association 2015 Elliot Norton Award for Outstanding Musical Performance by an Actor for Father Comes Home From The Wars (Public Theater, American Repertory Theater). He played lead guitar/guitar synthesizer for Disaster!, Holler if Ya Hear Me (the music of Tupac Shakur), and Hair on Broadway. His other Broadway credits include the shows The Color Purple; Caroline, or Change; The Full Monty; and Starlight Express, among others. Steven can be heard on Sesame Street playing guitar, banjo, mandolin, and ukulele. Other composer/performer credits include commercials for Chase Bank, Volvo, McDonald’s, and other corporations; In Our Time, The Great War At 100 (for the Harvard Humanities Center); Sam Shepard’s Curse of the Starving Class and Keb’ Mo’s Thunder Knocking On the Door (for the Yale Repertory Theatre); Michael Ondaatje’s Billy the Kid; and Whoa Jack and Uncle Jack (at the Tribeca Theater). A graduate of Columbia University, Steve has played with such notables as Eric Clapton, B.B. King, Jeff Beck, Albert Collins, Buddy Guy, Johnny Cash, Lena Horne, Faith Hill, Chuck Berry, Count Basie, Renee Fleming, Eartha Kitt, and Beyonce. 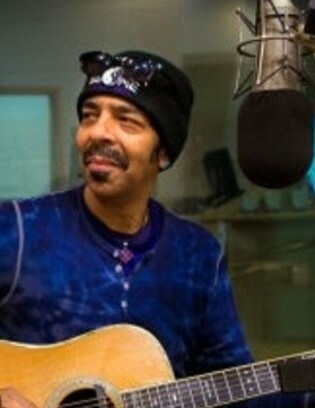 He is the recipient of ASCAP and Billboard songwriting awards. “Danimal” Dan Gross (Drums & Percussion) has performed in New York with a variety of cabaret and concert artists, ranging from Petula Clark, Lea Salonga and Rita Moreno to Robin Thicke and Billy Crystal. Broadway credits include Grease, Blood Brothers, Les Miserables, Elaine Stritch At Liberty, Rent and Chicago the Musical; and Jazz and Pop tours have taken him to thirty-five states and a dozen countries in Europe and Asia. Dan is also a professional songwriter, composer and music educator, having penned themes and incidental music for several New York area children’s educational projects, as well as having authored two drum method books published by Cherry Lane Music. He is currently on the music faculties of Long Island’s Friends Academy and The Green Vale School with a roster of forty Percussion students. A long-standing member of the American Federation of Musicians (AFM) and American Society of Composers and Publishers (ASCAP), Dan is delighted to be sharing the stage once again with the uber-talented Miss Sheehan and these exceptional musicians and wonderful human beings. And he is always happy to be back down South, so close to his home state of Georgia!